Geranium has great value in skin care and can be used on any type of skin. Properties for skin include: analgesic, anti-irritant, antimicrobial, potent antioxidant, antiseptic, astringent, balancing, cell-regenerating, cicatrisant, demulcent, rejuvenating and warming. It is commonly used for these particular skin conditions: acne, blackheads, cellulite, dehydration, erythema, seborrhea, sensitivity, spider veins and stretch marks. Geranium is also an excellent and effective remedy for burns and wounds and can be used in the treatment of inflammation due to its mild, soothing effect. Its action on the nervous system is pronounced; it’s a sedative with uplifting characteristics. Geranium is a stimulant of the adrenal cortex and can be used to balance the production of androgens or octoroons, such as occurs during menopause. It is also great for the time of menstruation. Geranium is a good insecticide due to its terpene content and is particularly effective as a mosquito repellent. Described as a minty-fruity floral top-middle note with rosy undertones, geranium oil is an important perfume ingredient, and one of the most feminine of the essential oils. Its properties for mind include: balancing, calming, cooling, refreshing, relaxing, soothing and uplifting. It promotes feelings of happiness and peace, and eases anxiety, depression, panic, stress and tension. more on geranium essential oil . . .
Ginger root is analgesic, anti-inflammatory, antioxidant, invigorating and warming. Its active constituents include: terpenes such as gingerols zingiberene and shogaols (named after the plant), and fatty acids. In addition to its application for skin, these properties make ginger root beneficial for aching muscles, arthritis, migraines and poor circulation. When taken orally, it is a digestive tonic, supports a healthy cardiovascular system and is anticarcinogenic. Ginger’s aroma is described as a spicy, sharp, warm top-middle note with a hint of lemon and pepper, and its effects are energizing and stimulating for poor memory. Emotional benefits include ease of: emotional and mental fatigue, fear, physical fatigue and shyness. Ginger is widely used in the food industry. It also has a history in the perfume industry, and is considered to have an oriental note to it. Ginseng is derived from the Chinese word for "likeness of man" because its roots sometimes resemble a human figure. Panax ginseng is classified as an anti-bacterial ingredient, purifying, anti-inflammatory and boosts skin immune function. Ginseng can help balance the oil gland production and can smooth fine lines and wrinkles benefiting mature skin types. Often times thought of as an anti-aging skin treatment, ginseng contains a large number of phytonutrients. These phytonutrients can stimulate and activate the skin's metabolism and blood flow to help regenerate and tone. Sodium Benzoate & Gluconic Acid & Water act as a preservative consisting of naturally derived sodium benzoate and gluconic acid. Natural benzoic acid obtained by the extraction of gum benzoin (a resinous material tapped from the bark of the styrax tree and commonly used in traditional medicine) is the starting material used to manufacture the sodium benzoate. Gluconic Acid occurs naturally in fruit, honey, Kombucha tea, and wine. Sodium benzoate works in synergy with gluconolactone to provide broad spectrum antimicrobial protection. It is used as a complexing agent and acidity regulator in our products. Gluconolactone is naturally derived from corn fermentation and is composed of multiple water-attracting hydroxyl groups, which help hydrate the skin. As a natural food acid, it helps prevent microbial growth primarily through pH depression. When combined with Sodium Benzoate, gluconolactone 'potentiates' the preservative and enhances the microbial tolerance of the finished product. As a blend, these two ingredients provide broad spectrum antimicrobial protection. Both of these ingredients can help protect the skin from some of the damaging effects of UV radiation and can help reduce the appearance of fine lines, wrinkles, roughness, hyperpigmentation and pore size. Glycerin is an oily, clear, sweet, thick liquid obtained by adding alkalis to fats and fixed oils. It is a solvent, emollient and skin softener in many cosmetics as well as a humectant and therefore helps keep moisture in creams and other products as well as on the skin. In fact, glycerin attracts just the right amount of moisture to maintain the skin’s homeostasis and fills in the intercellular matrix of the skin (thus plumping it up in a good way). Its presence in the intercellular layer helps other lipids do their job better and is actually present in all natural lipids. It also helps products spread better and is a menstrum, which helps with the absorbability of medicinal plants. 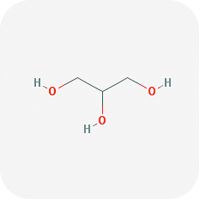 Stearic Acid is a white, waxy, natural fatty acid widely used in hand creams and lotions, protective creams and soaps (among many other products). It is the major ingredient used in making bar soap and lubricants, and is an emollient, emulsifier and thickener. Glyceryl Stearate is an emulsifier, emollient and thickener. See glycerin. Sucrose is sugar, a preservative, antioxidant, exfoliant, demulcent and substitute for glycerin. It is a monosaccharide and as such has water-binding properties. Sucrose Stearate is a mixture of sucrose (sugar) and stearic acid. The goji berry may just be the world’s most powerful anti-aging food, and the most nutritionally dense food on the planet; it is, quite literally, a “superfood.” It is touted as having more vitamin C than oranges, more beta-carotene than carrots, and more iron than steak. Because many of the nutrients in Goji berries have proven benefit to the skin, it was just a matter of time before this little wrinkled berry started to show up in cosmetics. For instance, research suggests that unique polysaccharides (a major constituent of Gojis) hold promise as anti-inflammatory and anti-aging components. 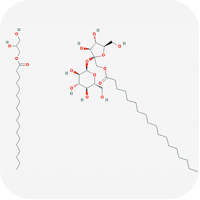 They also show significant antioxidant activity. In fact, Goji berries rate quite highly in terms of their Oxygen Radical Absorbance Capacity (ORAC) at 25,300. The antioxidants in Goji berries can help to reduce inflammation and the sun damage that eventually cause wrinkles, age spots, and sagging. Plus, these free radical fighters protect dermal fibroblasts (the cells that make connective tissue). The berry is also an “adaptogen.” It invigorates and strengthens the system while helping the body and skin to deal with stress. In Asia, the Goji is believed to harmonize functions of the entire body, including hormones. Adaptogens that balance hormones prevent the hormonal surges that wreak havoc with skin, causing inflammation and acne. It’s no wonder that Goji berries have popped up in cleansers, anti-aging creams, and even masks . . .
more on goji berry . . . The above-ground portions of Gotu Kola are used for their rejuvenating properties such as strengthening connective tissue and stimulating collagen production. It also promotes wound and scar healing by stimulating cellular mitosis; increases protein growth in the skin; and promotes tensile integrity of the tissue. Gotu kola is used topically to help burns, eczema, psoriasis, varicose veins, and in scalp oils to deter baldness. Its properties for skin include: antibacterial, antisporiatic, vulnerary, and contains many antioxidants. Gotu kola’s active constituents are gingerols, which have analgesic, sedative, antipyretic (fever reducing) and antibacterial effects; and saponins (also called triterpenoids), which beneficially affect collagen, flavonoids and terpenes. It is often used in baths, salves, lotions and moisturizers. It may also be taken internally in the form of tea, tincture or capsules to treat age spots, burns, dermatitis, eczema, leprosy, psoriasis and scars (even the keloid variety). Gotu kola even boosts mental activity, and helps nervous disorders. Gotu Kola, also known as Indian Pennywort is one of the most widely used and important Ayurvedic herbs on the market today. It has been used in Ayurvedic medicine for thousands of years and is thought to be one of the most spiritual and rejuvenating herbs in Ayurveda. It is also thought to increase psychic sensitivity. This ground cover species is weed like, especially in parts of India and Hawaii where it grows prolifically in unusual conditions, such as drainage ditches, gutters and neglected areas. Don’t let its wild predomination scare you, Gotu Kola is also one of the largest cultivated crops in India and thrives under organic farming conditions. While popularly used as a food source rich in vitamin C in the form of leafy greens within Bangladesh, Thailand and Sri Lanka it also has been internationally recognized within many countries pharmacopoeias and has been a valid, recognized, botanical medicine since 1884. The seed of the grape plant, Vitis vinifera, yields an extract that is classified as a powerful antioxidant, and is anti-degenerative, restructuring, moisturizing and tonifying. This extract is a powerful natural preservative and antioxidant that protects and strengthens living tissue, while improving skin’s tone with vitamin C and vitamin E.
The seed of the grape plant, Vitis vinifera, yields a fine textured, linoleic-rich oil. Grape seed extract is classified as a powerful antioxidant, anti-degenerative, restructuring, moisturizing and tonifying. Grape Seed Oil is also one of several plant emollients that mimic the lipid content of the skin. It helps stabilize and maintain the structure of the skin's complex inter-cellular matrix, preventing moisture loss and cell damage and promoting the skin's soft, smooth, healthy appearance. Grapeseed oil is truly superb in every regard. It has a mild green color with a pleasant odor, silken texture, and great absorption rate. Generally employed as a base oil for many creams, lotions and as a general carrier oil. 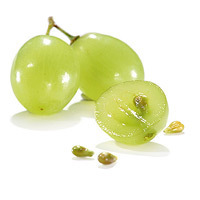 Grapeseed is especially useful for skin types that do not absorb oils too well, and it does not leave a greasy feeling. Wonderful for those with skin sensitivities because of its natural non-allergenic properties. It absorbs well and imparts both a pleasant odor and taste. The essence of grapefruit, also known as shaddock, is obtained (made) by cold press of the peels. Properties for the skin include: antibacterial, antioxidant and detoxifying. 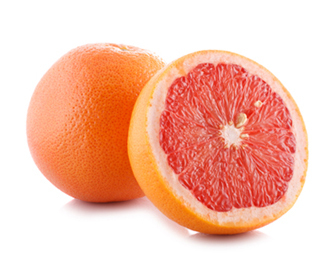 Grapefruit is used for the following skin conditions: cellulitis, dull skin, toxin buildup and water retention. It tones the skin and tissues, promotes hair growth, and can be diluted in the bath to assist with: cellulite, colds and flu, lack of energy, jet lag, muscle fatigue, overweight, headaches, moodiness, and mental and physical tiredness. Described as a sweet, sharp citrus top note, its energizing fragrance provokes euphoria and helps to stimulate self-esteem. Grapefruit oil clears the mind and uplifts the spirits; it is refreshing and reviving, especially when feeling down. 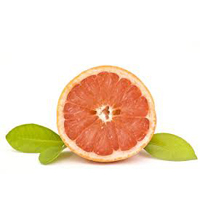 The extract from the grapefruit is a powerful antioxidant with high concentrations of vitamin C, and has been shown to be an effective antiseptic and preservative that is also beneficial to oily skin. Tea is made from the buds or leaves of the tea bush. The Chinese knew of green tea’s beneficial properties millennia ago. Green tea extract is known to be beneficial as a free radical scavenger (antioxidant) due to its high content of polyphenols such as Epigallocatechin-3-gallate (EGCG) at 15-20%, flavonoids such as anthocyanin and quercetin, and vitamin C, and is proven effective in skincare creams. Additional active constituents include: caffeine, phenolcarboxylic acids, the amino acid theanine (named after tea) and minerals. It is an energizer, has restorative powers, strengthens immune function, has antibacterial properties useful in treating infection, and is also an anti-inflammatory and demulcent. Green tea is most helpful for mature skin, couperose skin and roseacea. The guar bean or cluster bean is an annual bean grown principally in India and Pakistan, with smaller crops grown in the USA, Australia and Africa. Vegetable gums include derivatives from quince seed, karaya, acacia, tragacanth, Irish moss, guar, etc. They function as liquid emulsifiers, that is, they thicken cosmetic products and make them creamy. Guar gum exhibits strong water-binding capacity at low usage levels. A natural powder produced from the seed of Cyamopsis tetragonolobus. Guar Gum powder is used as a binder, thickener, and volume enhancer in food preparations. This water-soluble fiber is often utilized in gluten-free recipes.